A family business that has become highly successful may want to expand. Developing a business can also mean a high cost in capital expenditure. One of the ways in which a family business can raise that money is to get itself ready for an IPO or Initial Public Offering. This is also known as floating on the stock exchange. The money that the family business gains by selling shares in its new public company can be used to fund its expansion into new markets, or the development of new products and/or services. Going public is not a decision to be taken lightly. The costs involved in getting your family business ready for IPO can be substantial. Also, the family business may have to be radically altered to get it ready to successfully float on the stock exchange. But IPOs are a recognised way to raise capital when it is needed. Note that only companies can float on the stock exchanges. Sole traders and partnerships can’t issue shares. Your family business has basically three choices when its comes to its IPO. The main London Stock Exchange is best known with most of the large corporations in the UK being members of that exchange. However, for smaller companies that could include a family business, the London Stock Exchange may not be suitable when going public. Two alternative investment markets are also available: The Alternative Investment Market (AIM) and PLUS. These two other markets are better suited to smaller enterprises. Not all businesses can or should float on the stock exchange. Investors are looking for businesses that have high growth potential and will give a good return on their investment. Look at your family business. Is it in a sector that is rapidly expanding? Is your business itself highly profitable, and will continue to be so after the IPO? Also, investors are looking for management they can trust with the money they are investing. Can your family business show strong management over its life so far? If you are not sure whether your family business float on any of the stock markets that are open to it you can consult the London Stock Exchange itself. Their website contains the Listing Rules that all companies must comply with. Compare the legislation and regulations that your family business would have to fulfill with its ability to match these requirements. If you are still unsure, an outside business advisor can be a great help as they can independently and impartially assess your family business’s suitability for going public. 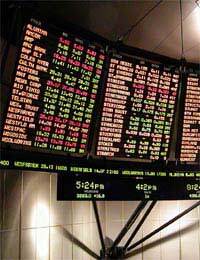 There are three main markets that your family could consider for its Initial Public Offering. The three markets have their own characteristics. Once you have decided which of the three stock markets is best suited to your family business going public, you now need to start the process of getting your business ready for the IPO itself. Depending on which market you want to use will determine the regulations that will govern your floatation. Consult the London Stock Exchange’s website for more information. Your accounts will need to be fully up-to-date and comply with the UK GAAP standard. Usually the process of floating on the stock exchange takes about three months to complete. It can take longer if there are any special requirements your family need to make its IPO successful. Your business’s chief financial officer will usually take charge of the process, but outside help can be a great advantage and can help your business avoid making any mistakes that could delay the flotation.